Finally here on Tenerife WiMAX wireless internet is the perfect solution for households that don�t have a fixed landline, or are unable to get a reliable ADSL connection? We pride ourselves on customer experience. 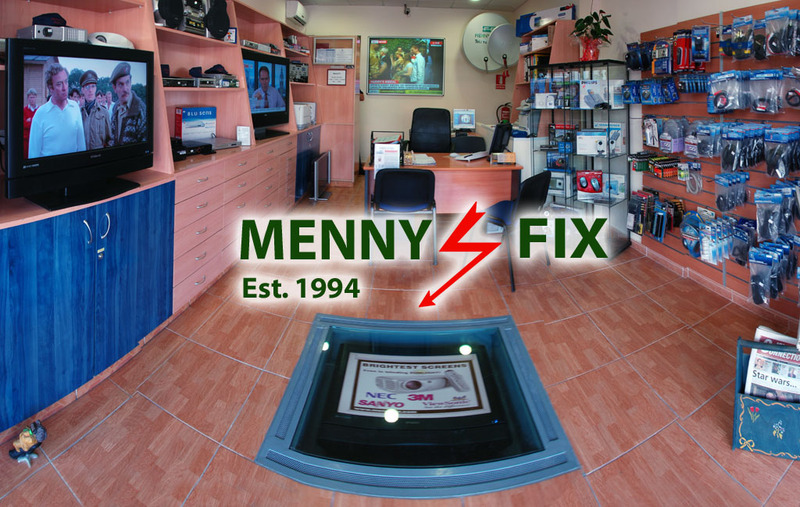 Menny Fix was established over 23 years ago and has been selling and servicing Satellite TV, Security and TV systems all over Europe, Tenerife and the Canary Islands to the highest standards possible. Our customers know that MennyFix will take care of their satellite needs, keeping them informed of changes and new information as well as servicing and repairing their systems. We strive to deliver unquestionable pedigree in quality, customer satisfaction is our main goal! We always supply 100% new, original, guaranteed and official products. We accept Visa, all major Credit Cards both Instore and Online. We also accept Paypal online. Helpdesk support and advice service, Online enquiry and 24Hr EMERGENCY Helpline for our Customers. Easy to read and find Terms & Conditions. Many Community�s, Bars, pubs, restaurants and individuals rely on the MennyFix service level to make sure that they and their customers have good quality and reliable equipment within their establishments. We are dedicated to achieving excellence in everything that we do. For any Information and Quotes please click here. You can visit our showroom in Las Americas for demonstrations, sales and servicing. Our shop is located in front of the very popular El Camison parade of shops - right next to all the cafes and bars. We stock many models of Satellite and TV equipment,come and see the latest products and ask for a free demonstration. We have been successful in supplying the Tenerife community with communications products for many years now and we try to cater for UK, German and Dutch television demands. We strive to continually improve our customer service and ensure our customers enjoy the best possible experience which is why our customers come back to us for our no-nonsense approach to sales and servicing, plus our friendly and multilingual staff are always on-hand to help you make that important decision. The content on this website is protected by copyright. All rights reserved. 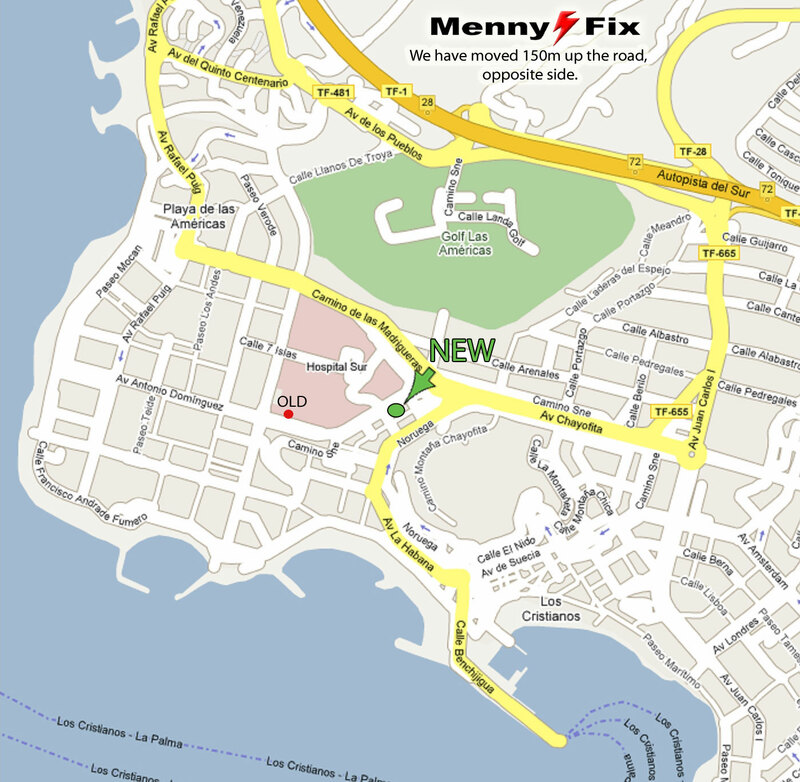 MENNYFIX � is a registered trademark, owned by Mennyfix Satellite. � Mennyfix Satellite - hosted by Brightnet. with British Sky Broadcasting Group plc ( BSkyB ).